The confluence of the Kansas and Missouri rivers symbolized the struggle between anti- and pro-slavery forces before the Civil War. Slavery along the Missouri River in what is now the Kansas City metro area was not the slavery of Gone With The Wind. University of Missouri-Kansas City history professor Diane Mutti-Burke, who has written extensively about slavery in Missouri, says slave owners tended to have less than 20 slaves. Those with more than 20 are historically defined as "plantations." While they may have been smaller operations than in the deep South, they were equally inhumane. "It's really disturbing," says Mutti-Burke. "There was advertising, you see it in Missouri papers. Speculators, or 'slavers' as they were known, coming to Missouri to purchase people cheaply and take them down to New Orleans and sell them." Slave history is hard to document and verify. Historians piece together oral histories, newspaper accounts, advertisements, census data and personal papers. But remaining physical evidence exists. Historians believe this was a slave quarters behind the home of St. Clair Dimmitt in Liberty, Missouri. There are a handful of what historians identify as pre-Civil War homes with slave quarters in Platte and Clay counties. The home of St. Clair Dimmitt, a Liberty resident in the 1850s, is an example. It sits just off the historic square in Liberty, Missouri. 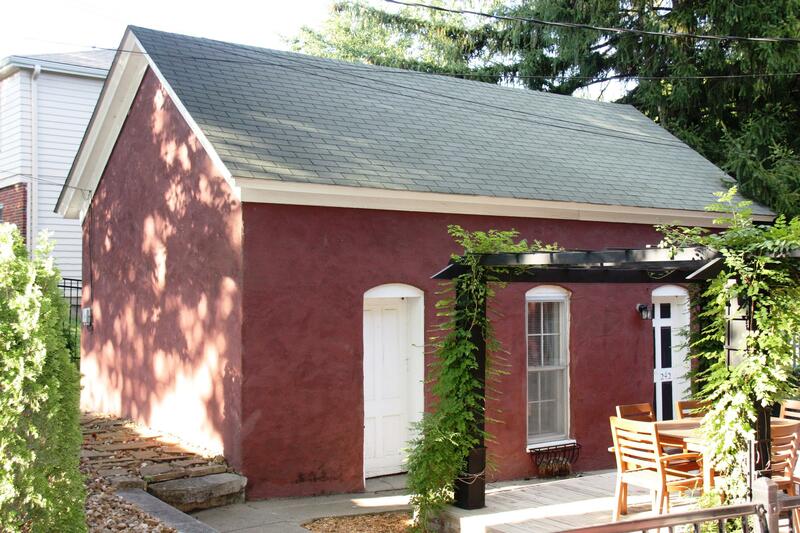 Immediately behind the restored brick house sits a garage-size building. Inside there's a worn brick wall, with holes on either side for what historians believe to have been chimneys, and a concrete floor. It was slave quarters, likely with a summer kitchen attached. Today, a young architect named Dan Wehmueller owns the home. He uses the small space in back to store tools. Historians and archeologists are working to preserve remains like the Dimmitt house in what’s known as Little Dixie – roughly 17 counties along the river in western Missouri. Little Dixie got its name because it mirrored the economy of the slave holders who migrated up from the upper South – Kentucky, Tennessee, and Virginia. Agriculture was at the center of the economy, says cultural and architectural historian Gary Fuenfhausen. "In Layafette County, (there was ) a lot of hemp culture along river, because the quality of soil was better suited to it," says Fuenfhausen. Hemp and tobacco were the major cash crops. Hemp was increasingly profitable for rope to bind the cotton coming off the large plantations of the deep South. Slave labor was used liberally. In fact, Fuenfhausen says the area had 52 percent – more than half – of the slaves in the state. "Go to Platte County and you'll see where one out of four would be an African-American slave," he says. "That’s because Platte County was important to the hemp and tobacco production in the Little Dixie region and the state of Missouri." A peaceful walk along the Parkville riverfront belies the violent chaos that characterized slavery in Little Dixie in the pre-Civil War years. It was a physical barrier that became a symbol of the bloody Civil War to come, says Park University history professor Tim Westcott. "Economically, socially, politically everything focused on the river. 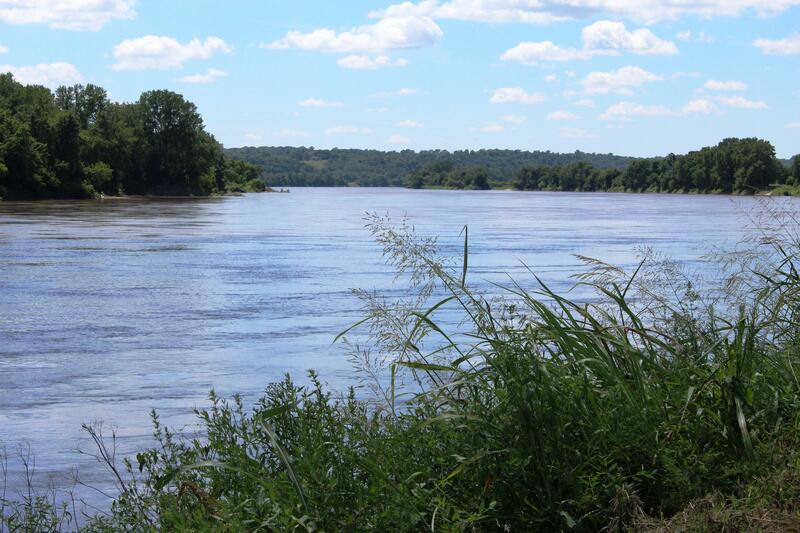 You had the confluence of the Kanza and Missouri River, which is important because of its connection to the Kansas Territory," says Westcott. Violence raged on both sides. While there are stories of slaves escaping across the frozen river in winter, more often than not it was a treacherous risk to escape across the water. Escaped slaves were regularly picked up by pro-slavery guerillas. Pro-slavery “border ruffians” crossed from slave counties in Missouri to make sure the Kansas territories maintained the institution of slavery. Much of the fighting centered around the abolitionist ports of Quindaro in what is now Kansas City, Kansas. 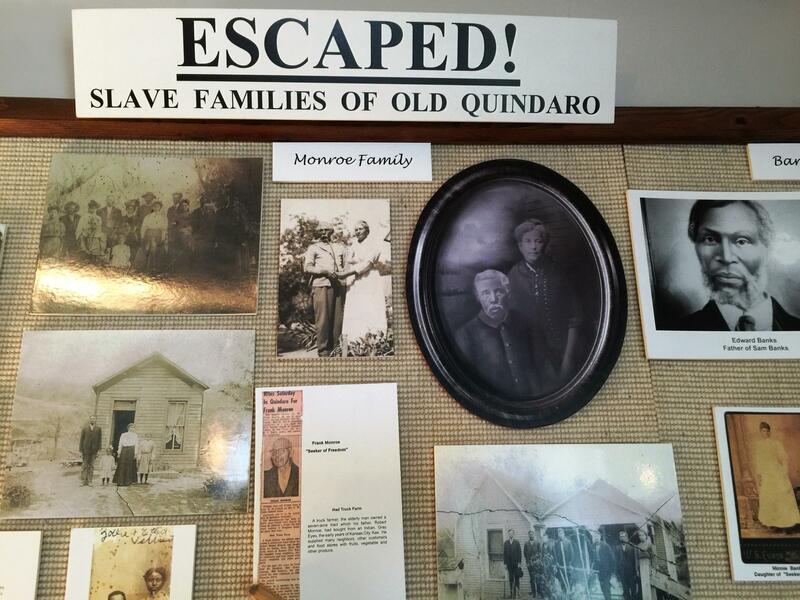 For a few short years in the late 1850s, Quindaro was a thriving business, cultural and educational community. It was a Mecca for the anti-slavery movement — established with the help of New England abolitionists, escaped slaves, Europeans and Wyandot Indians. Clarina H. Nichols, a crusader for women’s rights and against slavery, came to Quindaro from her hometown in Vermont in the mid 1850s. Here’s an excerpt from her papers. In ’58 I carried to my native town in Vermont a pair of manacles filed from the ankle of a stalwart black, who had escaped from the vicinity of Parkville, having drawn one foot from the encircling iron and brought the chain still attached to the other, in his hand. The man having learned that he was sold south attempted to escape and was at once put in irons. The night before the time set for delivery of the property, assisted by a fellow slave … he got loose. The Old Quindaro Cemetery sits on the bluff overlooking the Missouri bank above the once active Quindaro settlement. From here, Anthony Hope can look directly across to Missouri and imagine where his great-great grandparents, Robert and Julia Munroe, might’ve escaped to freedom. 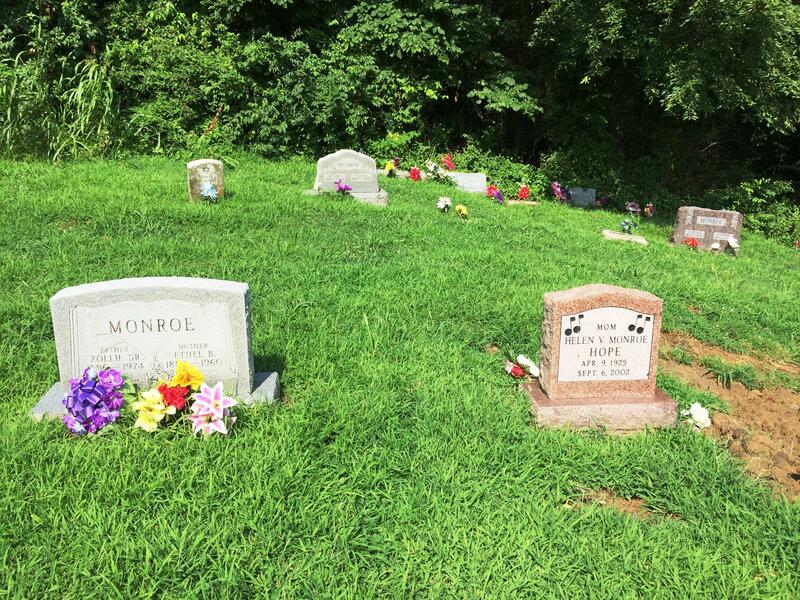 Robert and Julia’s faded headstones are surrounded by some 20 additional Monroe family markers. Hope points out his ancestors' graves. The Old Quindaro Cemetery is the final resting place of escaped slaves and their families. "Right here is my mom, Helen Monroe Hope, and next to her is her mother and father, Zollie Sr., and Ethyl B. Monroe Hope," he says. "Behind my mom is Victoria and Walter, her grandmother and grandfather." Below the cemetery are the decaying foundations of buildings where slaves probably hid before they were led deeper into free territory by “conductors” on the Underground Railroad. Others, like the Monroe family, stayed and settled in Quindaro Township. Growing up, Anthony Hope heard stories of how his great-grandfather, Walter Monroe, the son of an escaped slave, established a profitable rock quarry, and how his was the first African American family to own a phone. "It means so much when you know where you came from. We were told as little kids about our family ... we used to sit down and talk with older people. You know you might have a rich history you don’t know about," says Hope. In the middle of all the Monroe family headstones is new grave, piled with fresh dirt. It’s Jesse Hope’s grave. He's Anthony’s brother, and his best friend. Jesse Hope died at the age of 62 in July. He’d spent half his life working to save Old Quindaro and now it’s Anthony’s mission now to carry on Jesse’s work. Anthony will keep up the Old Quindaro Museum, which Jesse so lovingly curated. He says he will also keep on the city to maintain the ruins and cemetery. Over a century and a half after the Missouri River played such a central role in pre-Civil War politics, communities on both sides of the river find themselves confronting issues with roots in their past. Leaders and activists hope by understanding that past they can move forward into a more harmonious future. This look at the Missouri River is part of KCUR's months-long examination of how geographic borders affect our daily lives in Kansas City. KCUR will go Beyond Our Borders and spark a community conversation through social outreach and innovative journalism. We will share the history of these lines, how the borders affect the current Kansas City experience and what’s being done to bridge or dissolve them. 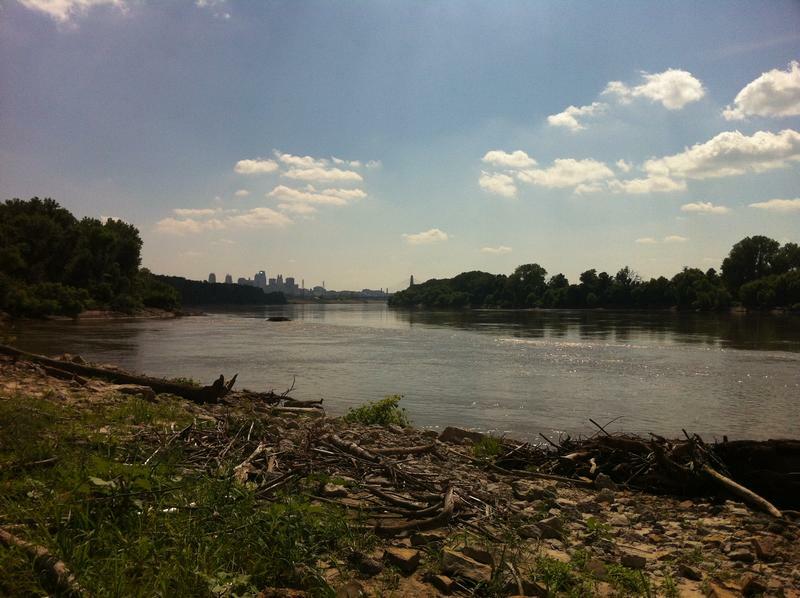 Kansas City owes its place on the map and its early prosperity to rivers. 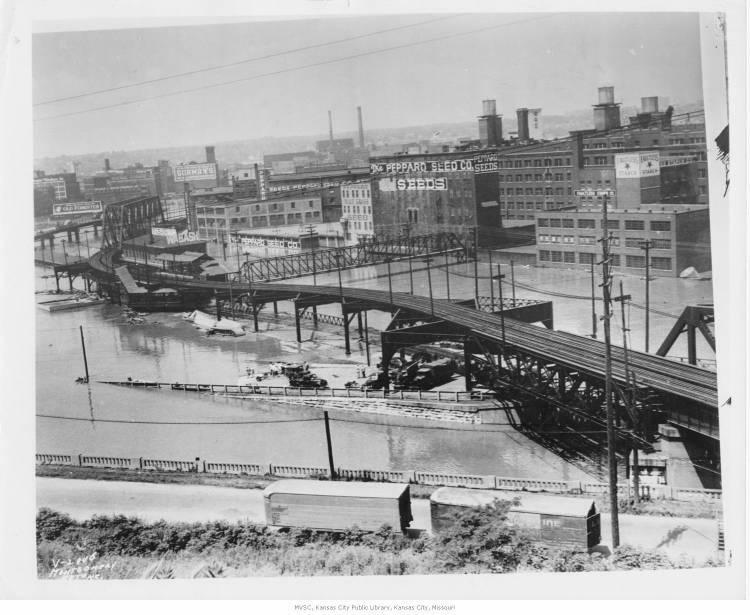 But those same streams that carried people and goods in and out — and later made easy routes for railroads – also created unforgettable chapters in the city’s history: destructive floods. With each disastrous chapter, Kansas City has recovered, adapted and sometimes changed direction. Though Collins says it's too early to talk specifics, the first stage of development will be multi-family housing and mixed-use retail. Groundbreaking is slated for this fall. 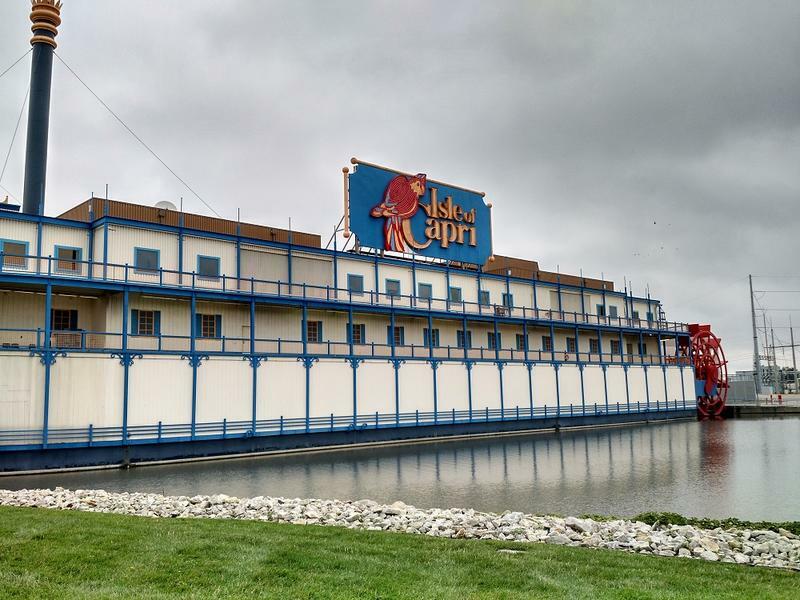 In 1992, Missouri voters legalized riverboat casinos along the state's waterways. The promise was that tax revenue would soar for local communities and state education coffers would be filled. And for Kansas City's smaller Northland communities of Riverside and North Kansas City, that's largely been the case. Both cities have grown to depend on revenue from their casinos, though there have been some costs that come along with legalized gambling.